Come on out for a night of good playoff hockey! 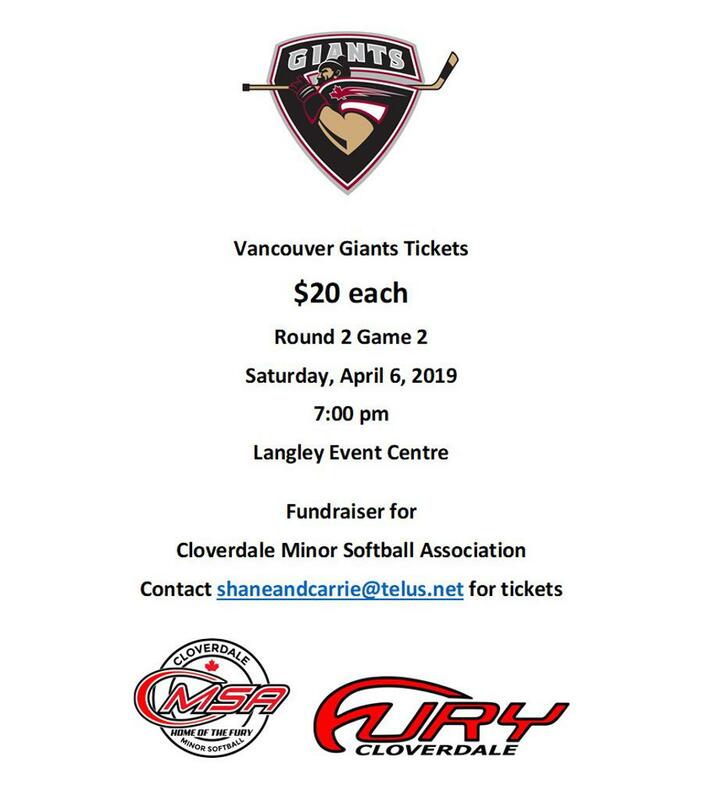 Come support our local Vancouver Giants from the Western Hockey League to a 2nd round playoff game win on Saturday night, and help CMSA raise funds towards making upgrades to our batting cage facility. The Vancouver Giants are providing CMSA the opportunity to do some fundraising for the Assoc. at their 2nd round home playoff game this Saturday evening (Apr. 6th). We have been provided a bunch of tickets to sell for the game for $20 each, which is a savings of $5/ticket if you were to buy them at the gate. Part of the ticket money will come back to the assoc. as well as half of the 50/50 proceeds that evening. Over the next year we would like to upgrade the batting cage and a successful fundraiser like this will help us do that, but to make it a success we need your support! Please share this information with family and friends. With it being the start of the season, this is a great opportunity for a team bonding activity. Bring your team, family, friends … the more the merrier! We also need some volunteers to help with 50/50 sales that evening, which will count as your association required volunteer time … this will get you free entrance into the game.